Rhod Gilbert - The Book of John - Following a six-year break from stand-up, multi-award-winning comedian Rhod Gilbert is back with a brand new live show. As one of the UK’s leading stand-up comedy talents, he has enjoyed many successful years as a star of television and radio. 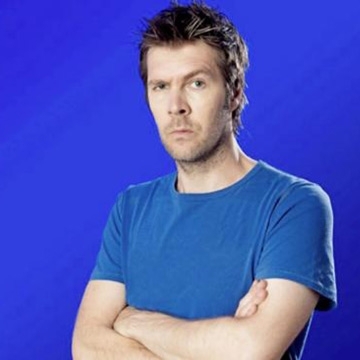 He has amassed eight series of his hugely popular ‘Rhod Gilbert’s Work Experience’. He is the current host of BBC2’s ‘The Apprentice: You’re Fired’ and is the former host of ‘Never Mind the Buzzcocks’. He’s regularly hosted ‘Have I Got News for You?’ and has appeared countless times on ‘Qi’, ‘Would I Lie to You?’ and ‘8 Out of 10 Cats Does Countdown’. He has hosted ‘Live at The Apollo’ on multiple occasions and has twice performed on ‘The Royal Variety Performance’. A lot has happened to Rhod in the six years since he last toured. Almost all of it s**t.
This show sees Rhod as funny as ever, but like never before. ‘The Book of John’ is raw, personal and brutally honest; no more lies, no more nonsense. This is Rhod, but different, the same, but not.